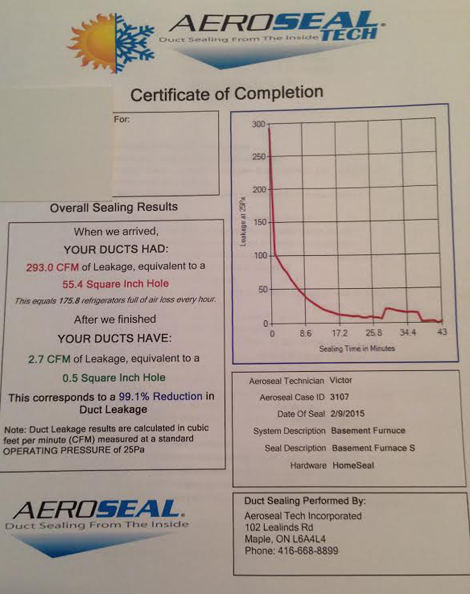 The Aeroseal duct sealing system effectively seals residential homes and commercial building’s ductwork from the inside by using a UL tested and approved sealing material. It’s clean, safe, and guaranteed for 10 years in residential application. In an air duct diagnostic, a certified technician inspects and evaluates your central air duct system and recommends ways to maximize your savings and improve your home comfort or improve building efficiency and solve air flow / ventilation problems. 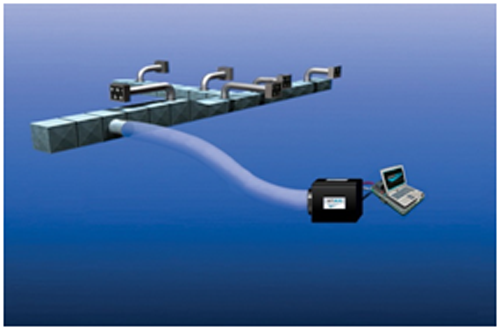 Our trained and certified technicians use computer-based tools and reports to gather information about duct leakage and register airflows. 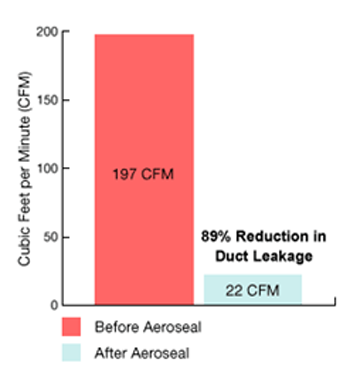 Aeroseal can reduce duct leakage by up to 90% and save a typical homeowner up to $850 a year in energy costs and a typical building up to 30% of HVAC energy use. Aeroseal can reduce duct leakage by up to 90%, and save a typical homeowner up to $300 a year in energy costs and a typical building up to 30% of HVAC energy use.